Brunswick offers healthy living and outdoor adventures for all ages. Brunswick is a forward-thinking, health-conscious and prevention-centered town. 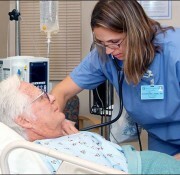 Care providers place great importance on the whole person: mind, body, spirit. From acupuncture to therapy to surgery, beautiful Brunswick provides the perfect backdrop to inspire good health! Brunswick offers the ideal location to build or expand your business, with a wide variety of space and land options throughout the town). 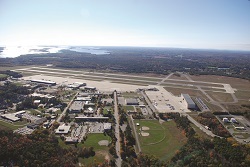 With convenient access to I-295 and Route 1, Brunswick is located 30 miles north of Portland and the Portland International Jetport (PWM) and adjacent to the town of Freeport. The town offers many quality high-paying jobs in several targeted industries such as aeronautics, biomed, composites, sustainable energy, hospitality, medical/dental and education. We offer an educated workforce, with Bowdoin College, Southern Maine Community College, Southern New Hampshire University, and the University of Maine Engineering Department, all operating within our community.